–Moratorium on Military exercises, especially with nuclear – armed forces or forces that might be nuclear-armed, that might be interpreted by another party as provocative or might be misunderstood. –Avoidance of statements that threaten or might be understood or misunderstood to threaten, the use of nuclear weapons for any purpose whatsoever. –Establishment/re-establishme nt and regular use of, military-to-military hotlines. –Establishment of the Joint Data Exchange initially proposed in 1998. –‘No-First-Use’ declarations by one or both sides, without waiting for the other side to do it first. –Lowering of the alert status of missiles currently kept in a state that can be launched in minutes or seconds; Increase in decision-making time by heads of state/senior military. PRIME MINISTERS AND FOREIGN MINISTERS LATVIA, LITHUANIA, ESTONIA. We are writing to you concerning the all-too-real, all-too-current, risk of global thermonuclear war. We write with a tight deadline, as this risk is current, pressing, and urgent. It cannot be postponed until after the Jan20 inauguration date for US President-elect Trump. The likelihood of global thermonuclear war has been erroneously thought of as yesterdays, last century’s, problem. Society has deluded itself that it went away in 1989. In recent years and months and days the possibility of global thermonuclear war has come roaring back onto the global stage. Moves that have long needed to be made, both to reduce nuclear risks, and to remove nuclear weapons entirely from strategic and security policies, as recommended by distinguished bodies such as the Blix Commission and the International Commission on Nuclear Nonproliferation and Disarmament (ICNND), not to mention annual and bi-annual resolutions in the UN General Assembly such as Operational Readiness of Nuclear Weapon Systems, (most recently adopted in October by 174 yes votes to 4 noes, with 4 abstentions), have been routinely ignored. Instead, there has been an at first imperceptible, but steady, drift toward the actual large-scale use of nuclear weapons in conflict, at first just between India and Pakistan, but now between Russia and NATO/US. This has been marked by increasingly bellicose threats by both sides, that place such use (and therefore nuclear war) firmly and terrifyingly back on the agenda. This has been most clearly highlighted by Russian civil defense exercises (which are argued, at least from a Russian perspective, to be purely defensive), in which millions of Russian civilians recently practiced procedures for nuclear war. They have also been highlighted by another ‘defensive’ move,(from a Russian perspective, obviously) namely the deployment or re-deployment, of Iskander tactical nuclear missiles in Kaliningrad. On the NATO side, equally threatening and ‘ante-raising’ military moves have taken place, notably in Poland and the Baltic States, also characterized as purely ‘defensive’. While ‘western’ perspectives may portray even discussion of this as ‘pro Russian’, it is a brute fact that the Russians consider the expansion of NATO to its borders to represent a fundamental security threat to Russia. As well, they see it as as a violation of US promises made in 1989 and 1990, not to do so. Right or wrong,(and completely unsurprisingly) this is their view. They will act accordingly. Rational problem-solvers will take into account not merely their own view of things such as missile defense or troop deployments, but how their interlocutors view those things. Failure to do so is likely to result in an uncontrolled escalatory spiral. Even during the height of the Cold War, there were no NATO troops on the Russian borders; the closest they got to Russia was West Berlin. Russia now sees NATO parading tanks in Estonia; NATO heavy artillery there is within range of St. Petersburg, the second largest city in Russia. Hitler invaded the Soviet Union taking this path; 800,000 people in St Petersburg (then called Leningrad) died as a result. Now NATO has put tanks in the same place Hitler did. Western media are indignant when Russian planes ‘buzz’ US ships: They don’t mention that those very ships were within appx 70Km of St Petersburg. That doesn’t make this Russian action wise, or productive- it is precisely the kind of thing this letter urges parties to avoid. But it does make it understandable and predicable. Two important points which Putin makes; first, these are dual-use facilities, whose Mark 41 launch systems are fully capable of launching nuclear armed cruise missiles, as well as ballistic missiles. The launchers are loaded with pods, which could easily contain a cruise missile, which even the Romanians would be unaware of. Putin also points out that the facility in Poland will have the first SM3, Block 2A and 2B hypersonic interceptors, which have both greater range and speed; these are precisely the weapons Russia referred to at the signing of New START, which they say give cause to them to withdraw from New START if deployed. In addition, many NATO military exercises have taken place, including with nuclear or nuclear-capable, forces. On at least one occasion, mirror-imaged NATO and Russian exercises, including nuclear forces, took place in the Baltics, within kilometers of each other. This is also within a very short distance of Russia’s second-largest city. This is a level of threat and counter-threat not seen since the Cold War: Indeed, NATO troops never got this remotely this close to St Petersburg in all that time. Exercises of this kind at this proximity are indescribably dangerous: The likelihood of miscalculation or bloody-mindedness, perhaps emanating from someone in the lower levels of command who exceeds their authority, leading to an escalation sequence that spirals out of control as in 1914, and leading within hours to a global apocalypse, is arguably now as high as it was at the height of the cold war, during which global thermonuclear war nearly took place on a number of occasions. This of course does not mean that this is what WILL happen: If that were so there would be no reason to write this letter. But even a 1% probability of global thermonuclear war is utterly unacceptable. This is a possibility that SHOULD NOT be on anyone’s agenda. Yet it is now right back from the 1980’s. 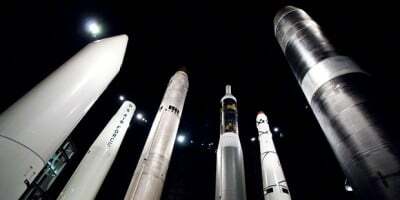 It bears repeating for the nth time that the use of even a relatively small number of nuclear weapons, especially of large and sophisticated ones such as the RS28 ‘Satan-II’ or ‘Sarmat’ missile or the standard Minuteman-III, would be a global catastrophe from which what we call or miscall ‘modern civilization’ would not recover. As few as 5 of the massive DF5 5-megaton Chinese nuclear warheads, exploded 200-400Km out in space above continental landmasses (as the Chinese have hinted they might do) might collapse the entire electronic and electrical techno-structure on which modern ‘civilization’ depends. The global financial system would literally, disappear. Recovery, within timescales of less than decades, would be impossible. A 2009 US congressional report on EMP actually suggests that if this ever took place, even if no further use of nuclear weapons took place, 9 out of 10 US citizens could actually starve to death. Once more this does not mean that this is a 100% probable outcome, or that this WILL happen. But it means that it could happen. That is bad enough. This with 5 (very large) warheads in space and without one city being incinerated. An India-Pakistan nuclear war involving 100-200 much smaller (30-50Kt) warheads targeted on troop formations and cities would bring about a ‘prompt’ body-count in excess of 100 million and a delayed body-count from the famines that the ensuing ‘nuclear autumn’ would bring about of up to 2 billion according to estimates by IPPNW. These estimates have been critiqued by some (and the critiques rejected) as overly pessimistic, but once more it is bad enough that some expert authorities have made these calculations. Certainty does not need to be proved. The use of 2000-4000 US and Russian silo and submarine based nuclear warheads plus tactical warheads could produce a ‘prompt’ (within 90 minutes) body-count up to a billion depending on exact targeting strategy, extinguish ‘civilization’ entirely, and place a question mark over human survival. This does not make it 100% certain that it WILL do these things, but it certainly puts these possibilities on the table. The onus is not to prove that these nightmares WILL happen but rather to prove that they will NOT happen and can never happen, and to do what we can to make that probability as small as possible. Taking actions that involve even a slight risk of such things is unacceptable, and the risk is much more than ‘slight’. Not to be forgotten, even if humans do survive the ensuing 30 year nuclear winter, will be the extinction of millions of species, especially in tropical rainforests (which are extremely vulnerable to low temperatures, and deprived of light and water), and where the majority of all living species actually live. The disruption of ecosystems (the web of life) by nuclear winter will in some ways be worse than an Ice Age because of its very rapid onset. This poses a particular dilemma to plants and animals adapted to sea-level, equatorial conditions which will simply cease to exist. The authors hope none of this will ever happen. However, a series of measures (outlined in this letter) need to be taken to positively ensure that it will never be possible for any of these nightmares to become reality. –An absolute moratorium on any military exercises involving nuclear forces that might cause misunderstanding or be viewed by one party or another as ‘provocative’. In particular, exercises by nuclear (or conventional) forces near other nuclear forces and near borders must be avoided. The proximity of some NATO exercises to St Petersburg must be taken into account. How would NATO feel with similar Russian exercises taking place 70Km from Brussels or Washington? Or with the Admiral Kuznezov and a group of cruisers exercising in international waters immediately off New York? –Inflammatory statements, and in particular, threats (by anyone) to actually USE nuclear weapons must above all be avoided. –Military-to-military hotlines need to be established, re-established, or activated and made regular use of. Military – to military visits, especially by high ranking officers, should be strongly encouraged. –The idea, reaffirmed five times by both US and Russian governments since a 1995 incident that nearly led to a nuclear exchange, for a Joint Data Exchange Center (JDEC) should be implemented. –One side or both sides (but neither side should wait for the other to do it), should issue ‘no-first use’ declarations, having already made the appropriate changes to actual nuclear posture. It goes without saying that ‘No First Use’ does not imply that ANY large-scale use whatsoever of nuclear weapons is anything other than potentially civilization-ending. However NFU declarations would do much to reduce the likelihood of any use whatsoever. –De-Alerting – Both Russia and NATO should remove land-based ICBMs from a status in which they can be fired in less than a minute after a valid order to do so has come from central command. This will mean that a bad day in STRATCOM or Kosvinsky Mt. will remain that – just a bad day and not literally the end of the world. These measures will do much to ensure that by the time of President Trump’s inauguration we are all still here to witness it, and to make the world a safer place thereafter.